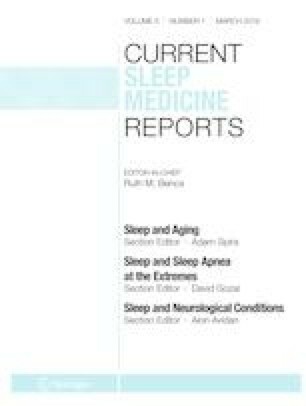 Recognize sleep disorders associated with neuromuscular diseases. Neuromuscular diseases can be associated with various sleep disorders. Diaphragmatic weakness, bulbar dysfunction, pharyngeal neuropathy, and central neurodegeneration cause sleep-disordered breathing. Spinal cord hyperexcitability, loss of inhibitory descending pathways, and neuropathy promote restless legs syndrome. Reduced cerebrospinal fluid (CSF) hypocretin, central dysfunction of sleep regulation, and degeneration of GABAergic intracortical circuits may contribute to central hypersomnia. Dysfunction of the nigrostriatal dopaminergic system, associated with neurodegenerative diseases and certain neuromuscular disorders, may be a common pathophysiologic mechanism responsible for the loss of rapid eye movement (REM) sleep muscle atonia and REM sleep behavior disorder (RBD). Loutfi S. Aboussouan has received royalties from UpToDate/Wolters Kluwer for authorship of chapters unrelated to the topic discussed here. Jorge L. Morales-Estrella declares no conflict of interest.